It’s that time of year where the weather is turning colder and leaves are falling off the trees. It can be tempting to snuggle up and stay indoors. This weekend there is something on that will make you to want to leave the house – Open House London 2018. Open House London started 25 years ago with a handful of properties. It now features 800+ buildings, many of which are in Kensington, Notting Hill and Chelsea. Deemed as the world’s largest architectural festival. It gives us all the chance to explore and learn about some of London’s most iconic buildings…. and, it’s free! Better still it gives us the chance to see inside some of the hidden gems that Notting Hill, Kensington and Chelsea have on offer. Buildings you pass every day but have never have the chance to see inside. As estate agents, it’s only natural we love buildings of all shapes and designs. We’ve picked a couple of our favourites from Notting Hill and Chelsea that are included in Open House London 2018. 264 Westbourne Park Road, in the heart of the Portobello Estate, is a fantastic example of modern architecture and we think it is a must-see for those taking part in Open House London 2018 in Notting Hill. From the outside you would never guess that the building is, in fact, two houses atop of each other. If you like too nosey around other people’s homes then this is a great opportunity to do just that. 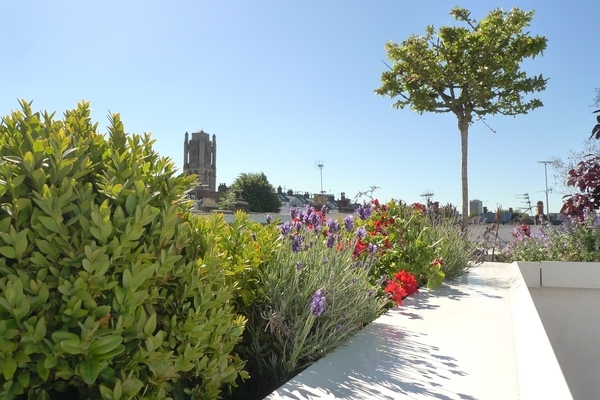 Plus you can take in the amazing views of from the roof garden. Designed by Studio Bednarski, an award-winning London design practice who took an unwanted piece of land and turned it into two contemporary houses. Incorporating designs that were inspired by the neighbouring Victorian properties, the building occupies 280m2 on a corner position with the Colville Conservation Area. Its most prominent feature is the vertical windows spanning across the first and second floors. The building is open on Saturday and Sunday between 10 am and 5 pm and we suggest you get there early to be in with a chance to see this truly unique modernistic building. 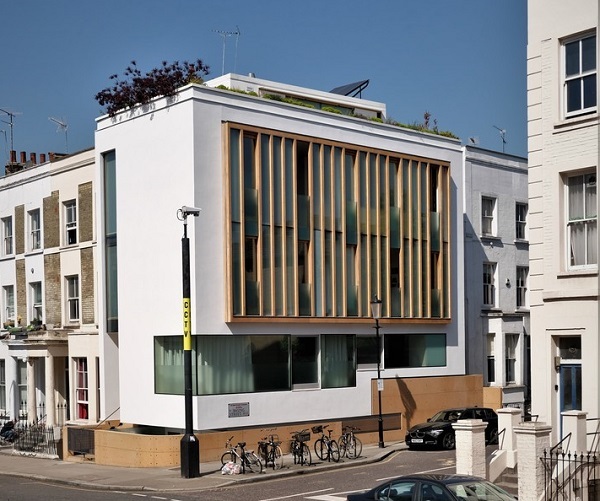 Chelsea is home to an astonishing range of architecturally interesting and beautifully designed buildings. One of the highlights of the Open House London 2018 event is the walking tour of Chelsea’s Architectural Icons. The tour is a brilliant way to get to know the area of Chelsea better, whilst burning off some calories at the same time. The tour begins by exploring the diverse and fascinating history of Duke of York Square. Designed by John Saunders (pupil of Sir John Soane) it was originally used as an orphanage. In 1909, it was taken over by the Territorial Army and was used a base for troops in both the First and Second World Wars. It is now home to the world-renowned Saatchi Gallery. The Square’s transformation doesn’t stop there. Plans have been proposed for a spiral restaurant by ‘Nex’. The tour continues with a short walk along Kings Road to Royal Avenue. Here you get a great view of Sir Christopher Wren’s stunning Royal Hospital which was completed in February 1692. 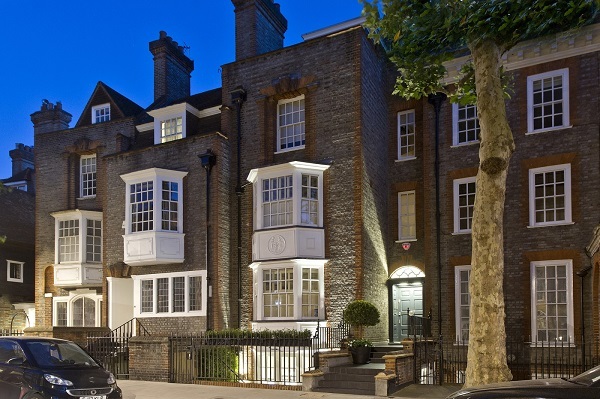 Just a short stroll of Kings Road, you can find a stunning Grade II listed property we have been instructed to sell. Combining classic and contemporary design and with a west facing garden, this will make a lovely home for a busy professional, couple or family. Sounds like what you’re looking for? Give us a call on 020 7937 9976 to find out further details. Moving north you come to Pont Street with its ‘Pont Street Dutch’ architecture. This is a term that was coined by Osbert Lancaster to describe the large red brick gabled houses built in 1880. Heading onto Cadogan Square and Pavilion Road with its fine example of ‘Mews’ – converted coach houses and stables. Next stop on Chelsea’s Architectural Icon tour is Hans Town House and the Holy Trinity Church. Also known as the ‘Cathedral to the Arts and Crafts’. It was designed by John Dando Sedding who believed that the church should be a vibrant and thriving part of the community. It continues to have a full congregation and close links with those who live in the area. The tour finishes at Sloane Square where you can see one of Thomas Heatherwick’s Paperhouse’s. These are rotating newspaper kiosks built using brass. After all that walking you will probably be ready for a drink which you can get from one of the many cafes and restaurants around Sloane Square. Sounds amazing right? If you want to take part in the Open House London 2018 tour around Chelsea, a pre-booked ticket is required. You can do this by emailing: events@cadogan.co.uk. The tour starts at 11 am. Everyone meets at the statue of Sir Hans Sloane, 10 Duke of York Square. If you would like to find out further details of these events, or any of the other events taking place in Notting Hill and Chelsea as part of Open House London 2018, you can visit their website here.